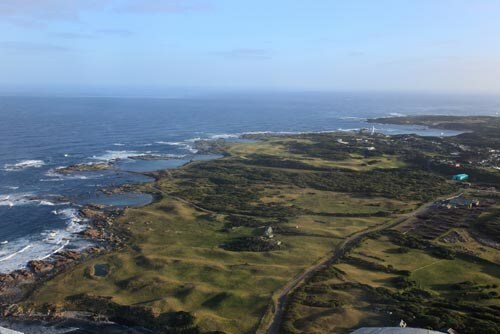 Tasmania - the "Apple Isle" - and King Island are both wonderful golfing destinations. 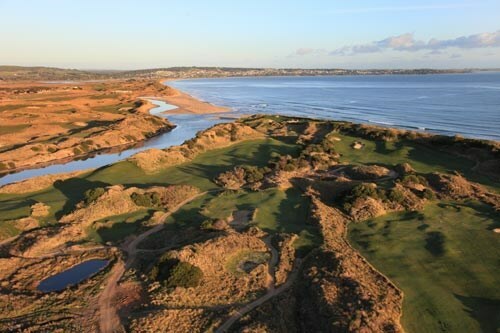 In Tasmania, Barnbougle Dunes and Lost Farm (both world ranked) are two great challenges in a region comprising 30 golf courses. 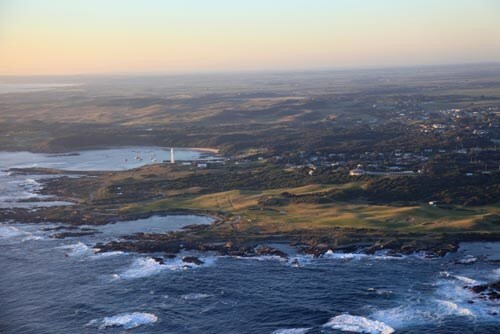 On King Island, Cape Wickham and Ocean Dunes are destined to be world ranked courses. Country Club Tasmania's 18-hole championship golf course is set on the edge of Launceston city with rolling fairways, lush greens and challenging design. Created by world famous course architects Peter Thomson and Michael Wolveridge, the course features numerous lakes and hazards, lush undulating fairways and fast expansive greens. The par for the course is 71 off all tees (men's championship, men's social and ladies), and the course is open to Resort guests and the public on an unrestricted basis. Country Club Tasmania’s 18-hole championship golf course is set on the edge of Launceston city with rolling fairways, lush greens and challenging design. Created by world famous course architects Peter Thomson and Michael Wolveridge, the course features numerous lakes and hazards, lush undulating fairways and fast expansive greens. The par for the course is 71 off all tees (men’s championship, men’s social and ladies), and the course is open to Resort guests and the public on an unrestricted basis. 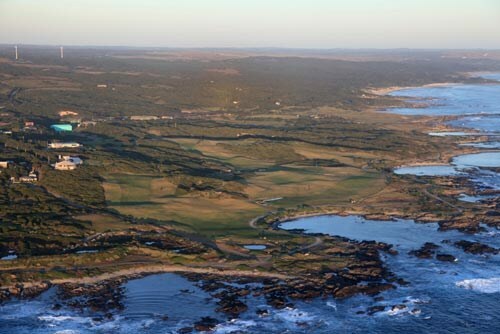 This is truly one of the world's greatest 9 hole courses, located on the rugged west coast of King Island, on one of Australia's idyllic golfing landforms. The course hugs a spectacular coastline, the bump'n'run of undulating fairways, endless ocean vistas, a clever routing and greens in great condition, make this one of golf's great venues. The course hugs a spectacular coastline, the bump’n’run of undulating fairways, endless ocean vistas, a clever routing and greens in great condition, make this one of golf’s great venues. The Launceston Golf Club is the oldest 18 hole golf course in Tasmania and has a proud reputation locally and interstate for the presentation of its facilities and as an excellent test of golfing ability. Carved out of natural bushland it provides the golfer with well manicured greens, strategically placed bunkers and eucalyptus tree lined fairways. With stands of black wood and wattle trees throughout the course you are unaware of the close proximity of the surrounding hustle & bustle of the suburbs. The Launceston Golf Club is the oldest 18 hole golf course in Tasmania and has a proud reputation locally and interstate for the presentation of its facilities and as an excellent test of golfing ability. The 5987 metre par 72 layout provides something for all golfers whether a beginner or seasoned golfer. Carved out of natural bushland it provides the golfer with well manicured greens, strategically placed bunkers on every hole and eucalyptus tree lined fairways. With stands of black wood and wattle trees throughout the course you are unaware of the close proximity of the surrounding hustle & bustle of the suburbs. The undulating layout makes it very easy to walk throughout your round of golf. The signature hole is the 13th hole “Spion Kop”. The 157 metre par 3 has a narrow tree lined fairway, deep gully to transverse and strategically placed bunkers protecting the green, this hole has been the downfall of many golfers over the years. The Club is situated between the leafy residential suburb of Norwood and bustling shopping centre of Kings Meadows. 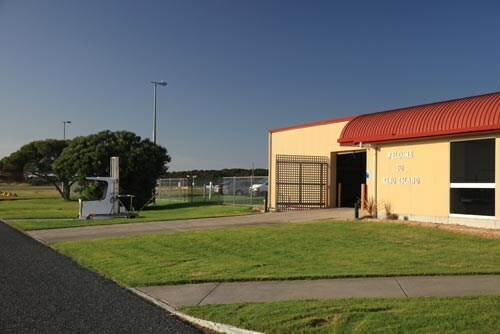 It is easily accessible only being 5kms south of the of the Launceston City Central Business District and 6kms from the Launceston Airport. Tasmania is Australia's only island state. Located on the far South East tip of Australia it is home to a combination of quiet towns, majestic wilderness and vibrant city life. Known for its 1000 mountain peaks and air which has been scientifically proven to be about the cleanest in the world, Tasmania is a wonderful place to live and visit. The climate is cooler than the Australian mainland with regular rainfall, however the mercury often rises above 35 degrees in the peak of Summer. There are two major cities in Tasmania, Hobart on the Island’s South East Coast and Launceston located inland approximately towards the North East. Tasmania’s major airports are in Hobart and Launceston, but Tasmania can also be reached by overnight ferry from Melbourne to Hobart on the ‘Spirit of Tasmania’. 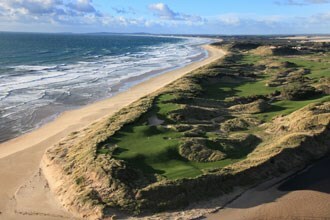 With the meteoric rise in reputation of great new golfing destinations such as Barnbougle Dunes, and more established courses such as Royal Hobart, Tasmania is fast becoming a favourite golf destination for Australian and Overseas visitors. 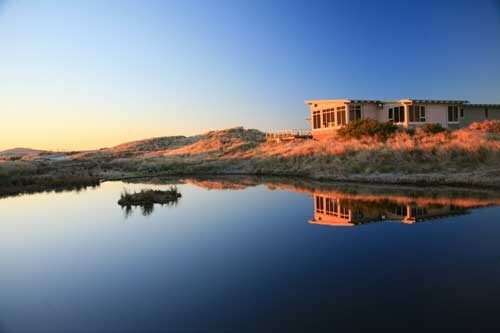 Barnbougle Dunes, designed by renowned golf architect Tom Doak and Australian PGA golfer turned golf architect Michael Clayton is a unique golf property. 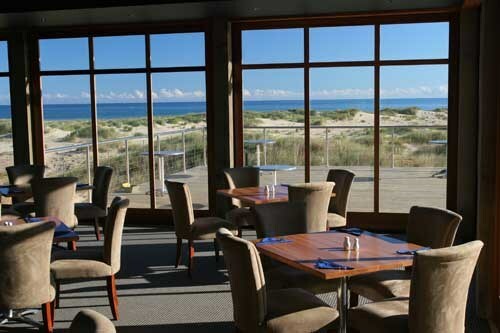 Barnbougle Dunes is located just outside the coastal village of Bridport, 1 hour north of Launceston. This public access golf course opened in 2004, and immediately captured the attention of world-class golf writers and players. 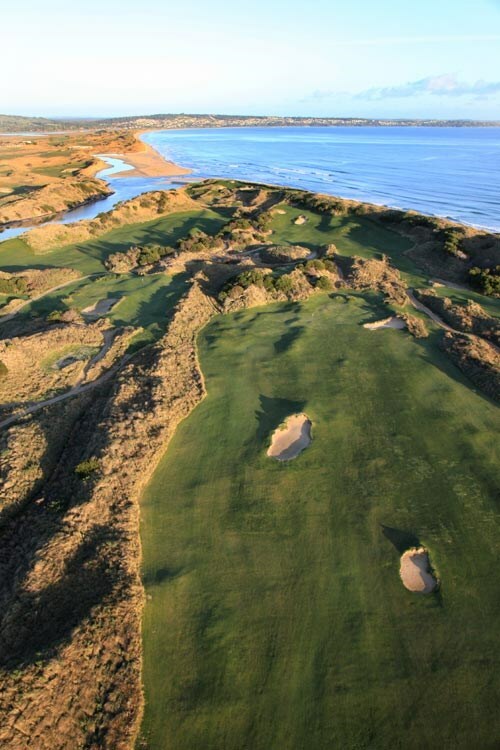 Barnbougle Dunes quickly climbed its way into the Top 50 world rankings and was rated 35th in the world by US Golf Magazine (2007); and 5th in the Australian Top 100 (2009). The golf course itself combines a series of subtle, short in length par 4 holes with some testing par 3 holes and only 3 par 5's on a course where the wind is an ever present factor. One of the great features of the course is the variability in playing conditions depending on the time of day you are playing the course. The mornings tend to offer windless playing experiences with often crisp cloudless days whereas in the afternoon the wind tends to pick up and provides challenges on many of the closing holes. 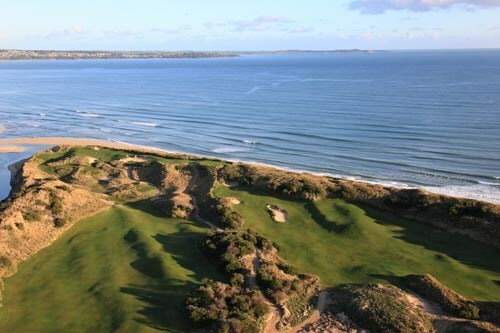 All in all Barnbougle is a great thinking person's golf course. By contrast, Royal Hobart Golf Club is a Private club that opened back in 1956 thereby being one of the more established courses in Tasmania. 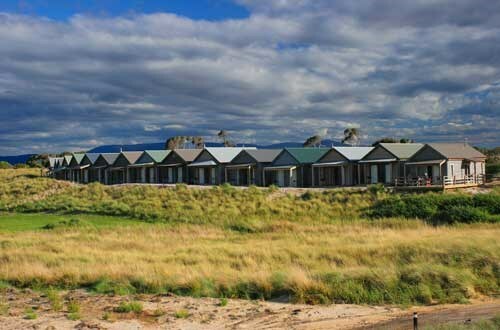 The course at Seven Mile Beach is constructed on sandy soil, of gentle contour in natural bushland only 20 kilometres from the City, near the Hobart Airport and beside the magnificent Seven Mile Beach. The course as it is today was designed by the acclaimed course architect, Mr Vern Morcom and is considered one of the finest in the Country. In recent years the Club has been the venue for many major Championship events, including the Tasmanian Open (six times), The Australian Amateur (six times), The Australian Women's Amateur (four times) and The Qantas Australian Open in 1971 won by the legendary Jack Nicklaus. Tasmania Golf Club is a semi-private golf club located just a one-iron length (i.e 2 minute drive) from Hobart airport. 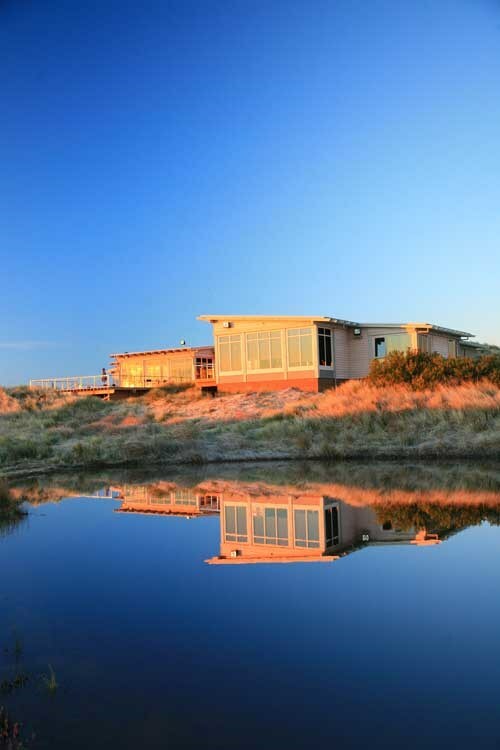 Bounded by water on three sides, the spectacular Tasmania Golf Club course is set on the picturesque Barilla Bluff, where it has been since 1971. Narrow tree-lined fairways are augmented by superb panoramic views with large rolling greens and strategically placed green-side bunkers. The course was created by curator Ian Grimsey under the guidance of noted course architect, Mr. Al Howard. The course provides 18 challenging holes in a well balanced combination of par 3's, 4's and 5's for golfers of all standards to enjoy. 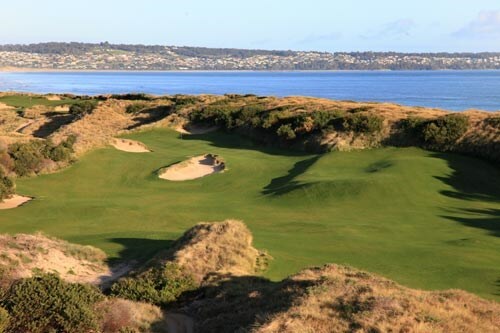 This magnificent course was rated by the Australian Golf Digest Magazine as the best in Tasmania in its survey of 'Australia's Top 100 Courses for 1999. The clubhouse at Kingston Beach Golf Club dates back to the 1830’s however the club itself was founded in 1922. 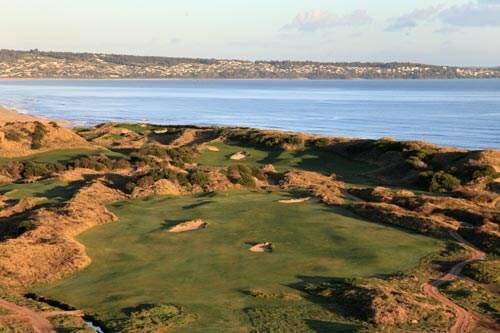 Nestled beneath Mt Wellington just south of Hobart on the Channel Coast, Kingston Beach Golf Club is a beautifully laid out course that winds alongside coastal and river flats. Lightly bunkered fairways and challenging greens are just part of what makes this course a pleasure to play. 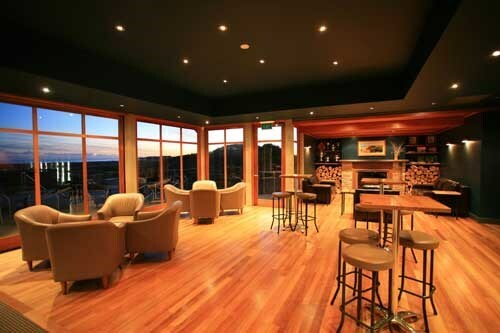 Claremont Golf Club is located in the northern suburbs of Hobart on a piece of land that juts into the Derwent River. The Par 71, 5667 metre course boasts undulating fairways and superb views over the Derwent River, Mt Wellington and surrounding hills. Whilst Claremont is a private golf club it is also open to green fee players. A relatively short course, players will enjoy a mix of straightforward par 3 holes, a couple of par 4 holes that are over 400 metres in length and four par-fives that can all be reached in two by long hitters. 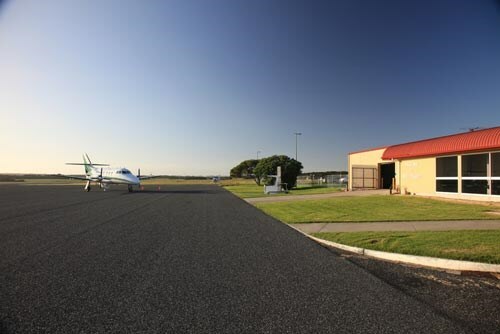 The Club is easily accessible only being 5kms south of the Launceston City Central Business District and 6kms from the Launceston Airport. 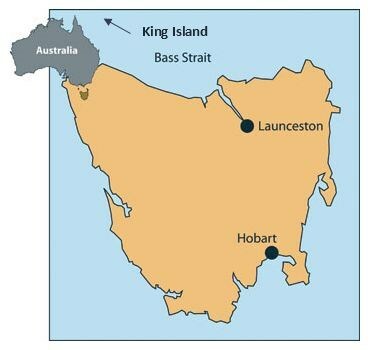 King Island is located in the Roaring Forties (the westerly winds that whip across the Southern Ocean and into Bass Strait) in the far South East tip of Australia, midway between Victoria and Tasmania. 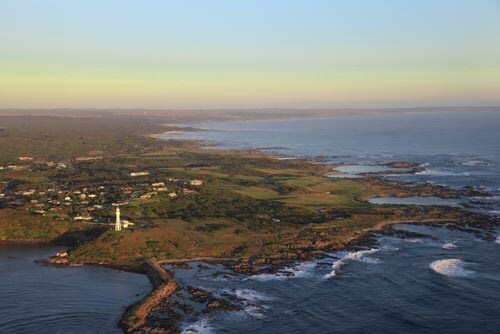 Wildly rugged and picturesque, it boasts over 145 km of coastline, (64 km long and 26 km wide). 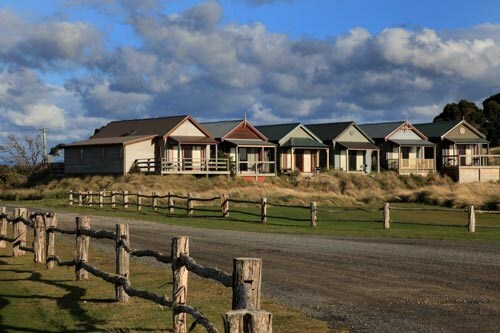 King Island has a population of approximately 1,600 permanent residents, of whom 700 reside in the township of Currie. Two other quaint villages are Naracoopa and Grassy. The Island enjoys a celebrated reputation for excellence in the production of food/culinary products. High grade beef and dairy farms are abundant, as well as a small fishing industry, mostly for southern rock lobster and abalone. 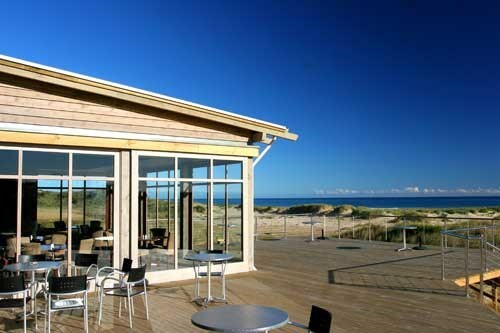 With the meteoric rise in reputation of great new golfing destinations such as Barnbougle Dunes in northern Tasmania, King Island is certain to become a firm favourite with Australian and Overseas visitors. Cape Wickham, opened to rave reviews in November 2015. 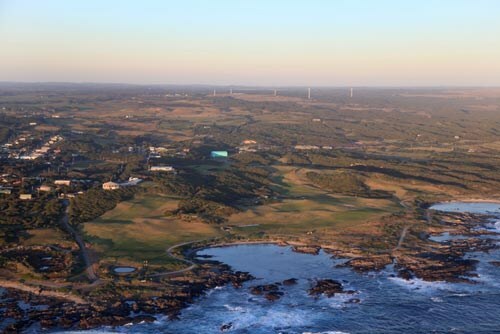 Designed by renowned US golf architect Mike DeVries and Australian golf course writer Darius Oliver, the course sits on a magnificent piece of coastal land at the far north western tip of the Island, 48 kilometres north of Currie. 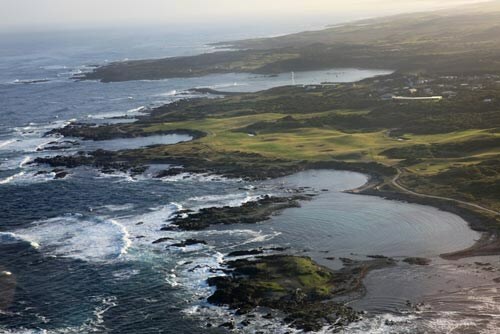 Cape Wickham has already captured the attention of international golf writers and golf raters, and will no doubt enter the Australian golf rankings in an enviable position. The golf course meanders through towering dunes and along the beach, where the roar of the ocean and a salty breeze embraces golfers, plotting their way around one of the world's most natural golf courses. One of the great features of the course is the variability in playing conditions depending on the time of day you are playing the course. The mornings tend to offer windless playing experiences with often crisp cloudless days whereas in the afternoon the wind tends to pick up and provides challenges on many of the closing holes. All in all Cape Wickham is a great thinking person's golf course. 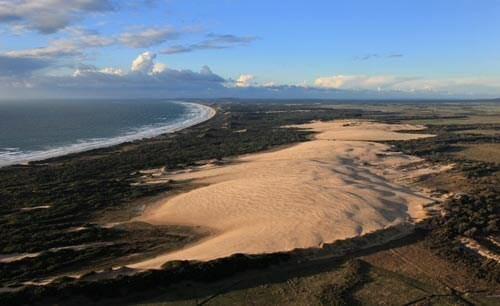 Ocean Dunes, designed by Graeme Grant, is scheduled to open in 2016. 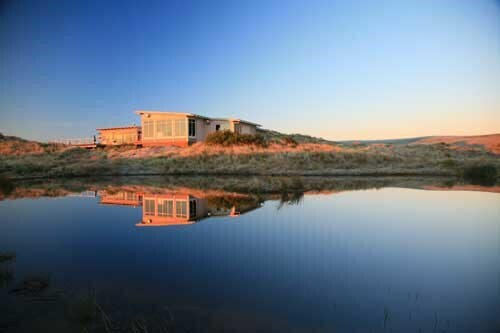 It is located just 5 minutes from King Island Airport. 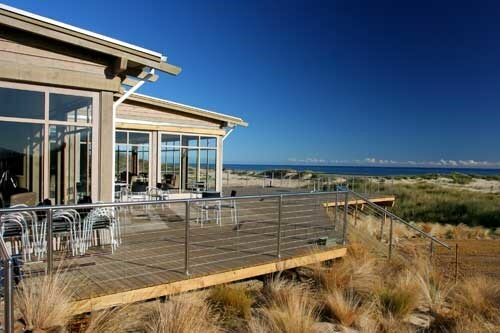 Ocean Dunes sits on idyllic golfing terrain and features several holes along its 2 kilometre stretch of ocean frontage. 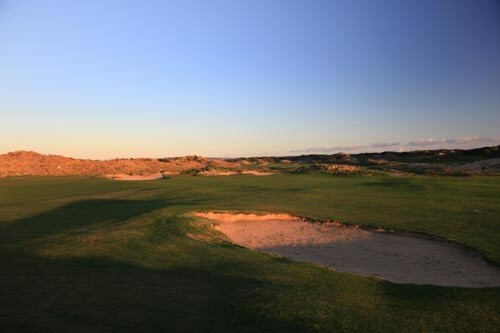 The 1st hole is a stunning 500 metre par 5 that rises over the crest of a hill as it veers right around a massive bunker, between tall dunes and plunges down to a green set on the edge of a rocky shoreline. Exciting short 4's abound, as well as variety afforded by the coastal creek that flows through the course to the spectacular dunes. 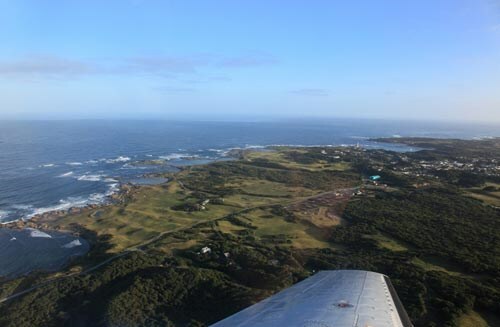 King Island Golf Course is truly one of the world’s great 9 hole courses, located on the rugged west coast of King Island, on one of Australia’s idyllic golfing landforms. When the wind is blowing, experience one of the most wonderfully challenging courses in the country, demanding creativity and strategy to plot your way to the hole. 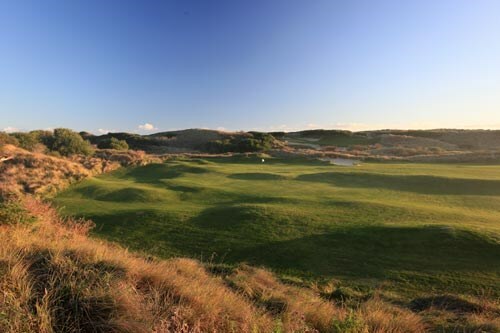 Situated in Currie, set amid coastal dunes meeting the Southern Ocean, King Island’s links have been described as resembling St Andrew’s of Scotland, with rolling fairways carved from the natural undulations. The course is a composite 18 holes, with alternate tees and greens on ten fairways. Comprising 3 x Par 3's, 12 x Par 4's and 3 x Par 5's over a distance of 5476metres the compact course can challenge the best of golfers when the wind decides to blow. The course hugs a spectacular coastline, the bump’n’run of undulating fairways, endless ocean vistas, a clever routing and greens in great condition, make this one of golf’s great venues. 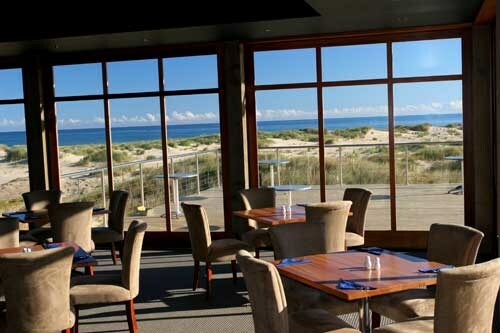 All 3 courses are laid out by the sea however they are very different in many ways, which all adds to the attraction of King Island as an outstanding golfing destination. Perhaps the best way to see Tasmania is by foot. Whether it be bush walking through Cradle Mountain and Cataract Gorge, or ambling through the World famous Salamancar Market in Hobart, this small island state is breathtaking. There are many hidden coves along the coast to explore, and winery regions to taste such as the Tamar Valley north of Launceston. Tasmania also lives and breathes history – rich in convict stories which can be found most dramatically at the Port Arthur Historical Site, and the many Museums and Art Galleries such as Tiagarra Aboriginal Cultural Centre in Devonport and the Queen Victoria Museum and Art Gallery in Launceston. 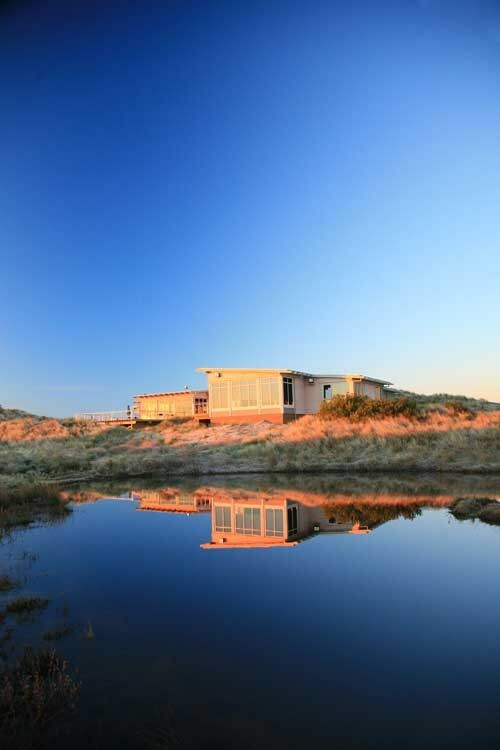 This friendly island of natural landscapes and clean air is renowned for the award-winning creamy cheeses of King Island Dairy, some of the best beef in the world, succulent local seafood, and famous long surfing beaches. Lighthouses, shipwrecks, rocky coastlines and numerous art and craft galleries are just waiting to be explored. The vast and varied landscape is abundant with natural wonders, including an ancient calcified forest at Seal Rocks Reserve; the scenic Lavinia Nature Reserve consisting of beautiful beaches, dunes, wetlands, and lagoons; and abundant wildlife, comprised of many bird species including the many fairy penguins that can be viewed returning to the shores at dusk. 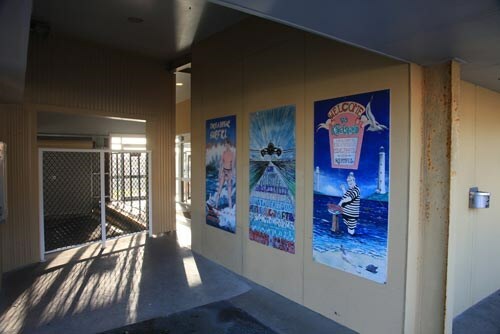 With a variety of dining and cafe experiences on both coasts - in Currie, Naracoopa and Grassy, a range of experiences await including the Currie Lighthouse, trail rides, museums, photography tours, wilderness walks, and discovery tours. Cape Wickham Lighthouse has a wonderful history, including an interesting story of original lens. Built in 1861 the 48m granite tower makes it the tallest in the southern hemisphere and a must see. Below are some useful facts and figures for the are. Use these to work out the best time to visit this region.